In my career as a hiring manager through VP, I have reviewed approximately 100,000 resumes, conducted more than 10,000 interviews and hired more than 2,000 people at all levels. Do the math: for every 100 resumes reviewed, only 10 result in interviews and only 2 hires. That’s a fairly consistent statistic for most entry level hiring of new college grads. So why do some resumes survive while others end up in the trashcan (either virtual or literal)? 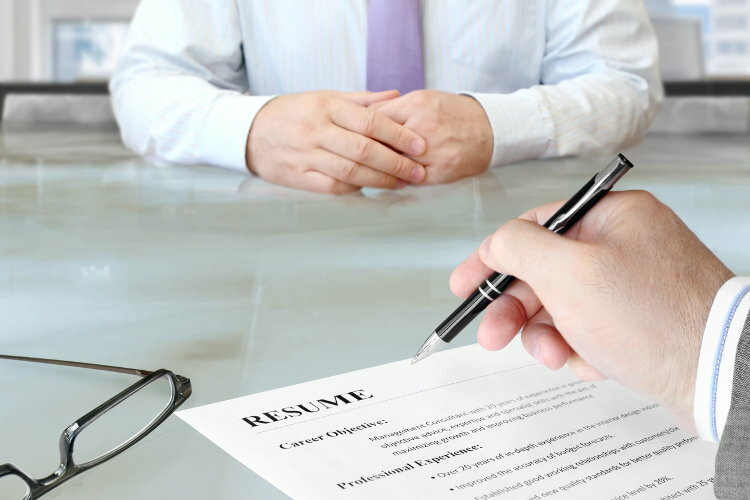 You need to understand what happens to your resume once you put it into circulation. Many entry level job seekers follow a shotgun approach, sending out 10, 20, 50 or even 100 resumes, then crossing their fingers and hoping for something to happen. Your resume will go through three levels of review: screen, scan and read. You need to survive each level if you want to get hired. 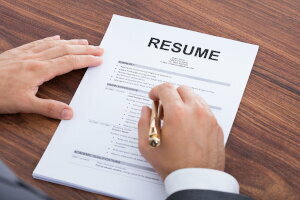 At the screen level, your resume will be given no more than 15 seconds and often it can be as little as 2-3 seconds. I spent time watching Sourcers screen resumes at Amazon.com and they would typically screen 20-30 resumes per minute. That’s 2-3 seconds per resume. Why so fast? Because they are looking for key qualifiers for the role. If the qualifiers are not there (or are not easily found), they move on to the next resume. What are these key qualifiers? Most often it is the degree level (such as a Bachelor’s degree), then the specific major (such as Accounting, Computer Science, Electrical Engineering, Marketing, etc. ), then the college or university (yes, employers do have key preferred schools), then the expected graduation date (to determine entry level hire or internship). After that, they screen for experience. Not in depth, just whether it is there. Did the person do an internship? Do they have any relevant work experience? Can all of that be screened in 2-3 seconds? Yes, by a practiced Sourcer who screens hundreds of resume per day. If your resume survives the screen (usually less than 1 in 10), it goes on to the scan. 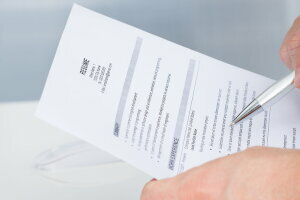 At the scan level, your resume will be scanned (not read) by the Sourcer in about 30 seconds. The screen is all about checking the key qualifier boxes. The scan is about looking into the details at a surface level. What classes have been taken/not taken? What type of internship? What employer? What job content? Does the candidate meet the minimum occupational qualifications? If not, the resume is discarded and again the group of resumes is culled to an even smaller group of qualified candidates for the role. If your resume survives the scan (usually less than 1 in 4), it goes on to the read. At the read level, your resume may be passed off to a Recruiter, HR Rep and/or Hiring Manager for further review. While it may go through another initial scan, this is where your resume is actually read. This is where the details of your qualifications are examined in detail. What are your technical skills? What were your key accomplishments in your internship(s)? This is also the level of review that takes place immediately prior to (or sometimes even during) the actual interview itself. Your content needs to be well formatted and key points easily read. For your resume to be successful, it must survive the screen and the scan, then provide the reader with the detailed points of differentiation of your background. To develop a killer resume, you will need: 1) the right format; and 2) the right content. You can get both at CollegeGrad.com. If you are having trouble getting started with your resume, we have over 100 different Quickstart Resume Templates at CollegeGrad.com for majors from Accounting to Zoology. Yes, they are all free. And we also have a free Quickstart Resume Generator that will take the content from your profile and build your resume for you.